Equipped with the latest technology, the finest team of estimators, and a reliable staff of account managers, 84 International Division was created to service builders and developers around the globe. 561-845-9223, or send us an e-mail. At this point be prepared to give us an accurate description about the materials you'll need, including the approximate quantities, and the port of destination for your product. You will receive a material quote which will include delivery per your instructions. Most often the quote will include the following Incoterms. CIF - Cost, Insurance, Freight (named port of destination) Seller must pay the costs and freight to bring the goods to the port of destination. The seller must procure and pay for the insurance. Maritime transport only. The seller makes the goods available at its premises. This term places the maximum obligation on the buyer and minimum obligations on the seller. FAS - Free Alongside Ship (named port of shipment) The seller must place the goods alongside the ship at the named port. The seller must clear the goods for export. This term is typically used for heavy-lift or bulk cargo. The seller must load themselves the goods on board the vessel nominated by the buyer. Cost and risk are divided when the goods are actually on board of the vessel. The seller must clear the goods for export. Here is a brief overview of some of the forms you're likely to run across during a typical export transaction. Air freight shipments require Airway bills, which can never be made in negotiable form Airway bills are shipper-specific. A contract between the owner of the goods and the carrier (as with domestic shipments). 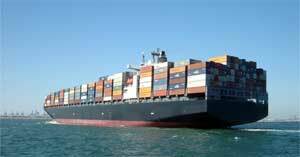 For vessels, there are two types: a straight bill of lading, which is non-negotiable, and a negotiable or shipper's order bill of lading. The latter can be bought, sold, or traded while the goods are in transit. The customer usually needs an original as proof of ownership to take possession of the goods. Incoterms are 13 standardized definitions of commonly used shipping and trade terms that cover control of goods and financial responsibilities such as payment of cargo insurance and freight. Incoterms provide traders with a common set of rules outlining each party's obligations, thus reducing misunderstandings.